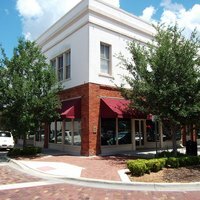 View of the former PICO Block from the intersection of North Oak Avenue and West Commercial Street in Sanford, Florida. The building was constructed and opened by the Plant Investment Company (PICO) in 1887 to house the company's local offices. PICO owner Henry Plant owned and operated an extensive railway system throughout Florida. Also known as the Plant System, Plant competed with fellow railroad tycoon Henry Flagler and later extended his lines from Jacksonville through Sanford to Tampa. In the 1920s, the brick exterior of the building was covered with stucco and renamed the Welaka Apartments. Original color digital image by Austin Smith, December 19, 2010. Originally created by Austin Smith and owned by RICHES of Central Florida. Reynolds, Kelly. ; Henry Plant: Pioneer Empire Builder. Cocoa, Florida: Florida Historical Society Press, 2003. Sammons, Sandra Wallus. The Two Henrys: Henry Plant and Henry Flagler and Their Railroads. Sarasota, Florida: Pineapple Press, Inc., 2010. Sanford Historic Preservation Board. 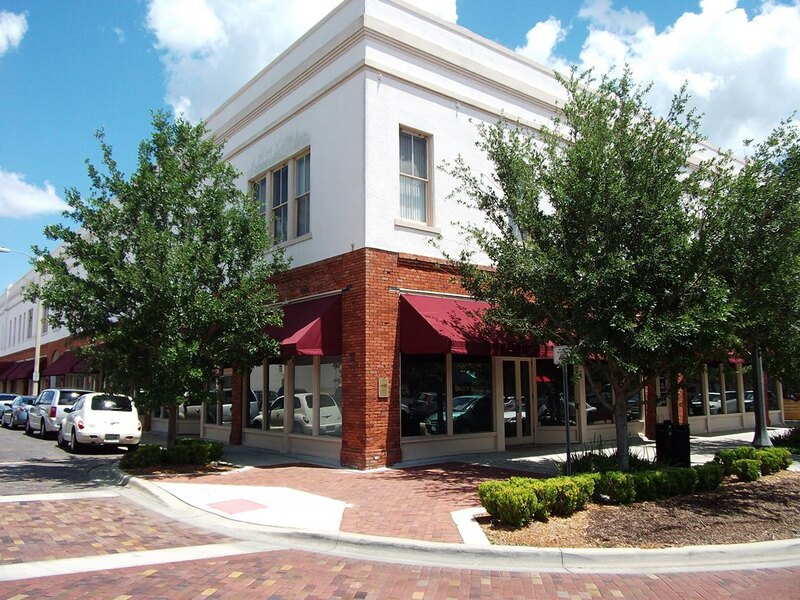 "The Sanford Historic Preservation Board Presents The Sanford Historic Downtown Walking Tour." City of Sanford, Florida. 2009. Commercial St.; Commercial Street. ; Oak Ave.; Oak Avenue; PICO; PICO Block; Plant Investment Company; Welaka Apartments; Welaka Apts. Smith, Austin. “PICO Block.” RICHES of Central Florida accessed April 24, 2019, https://richesmi.cah.ucf.edu/omeka/items/show/765.